Some shutters are used to provide protection from extreme weather conditions, such as hurricanes, tornadoes, or storms. They’re attached to the exterior of your home with hinges, so you can close them over the windows to prepare for storms. 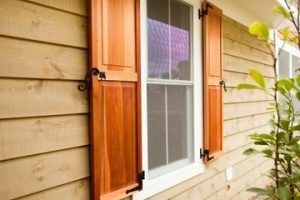 Exterior shutters can be made out of -Some shutters are non-operating and used for decorative purposes only and simply placed on either side of your outside windows. 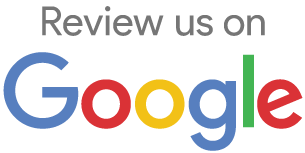 They can add greatly to the exterior look of a home-wood, vinyl, aluminum, fiberglass, plastic, or steel depending on the type of shutter you want. Wood exterior shutters are usually sold unfinished, and you’ll need to paint them yourself. Vinyl shutters typically offer the greatest variety of color choices and can match almost any desired color scheme. There are more economical alternatives to wooden shutters. Non-operating vinyl shutters are fast becoming the most popular type of shutter because they’re easy to install, highly durable, long lasting, and cheaper than shutters made of other materials. Although vinyl shutters aren’t the best choice for protective exterior needs, they’re ideal for decorative additions. Vinyl shutters also require very little maintenance after they’re installed and are very easy to install by do-it-yourself enthusiasts. If you’re a do-it-yourselfer, installing exterior, non-operational vinyl shutters might be a perfect home project. A chimney cap can be a very helpful accessory to have installed on your chimney for several reasons. The cap is a covering at the top of the chimney, and it usually includes a protective mesh. One of the most important reasons to have a chimney cap with a mesh installed is to prevent animals from going inside your chimney. Animals such as squirrels, raccoons, and snakes are known to climb into chimneys; and they usually can’t get out by themselves. It’s important to avoid contact with wild animals, since they often carry disease. The animals often get trapped and die in the chimney, which means there’s a smelly carcass to deal with. Birds often build nests over open chimneys because they are drawn to the warmth the chimney provides. There are also birds called chimney swifts, and they are protected by the federal government. If a chimney swift builds a nest on the inside of your chimney, you’ll have to put up with the chirping until the birds decide to move on. But if you have a chimney cap with mesh, you should be protected from having to deal with animals inside your chimney. Rain is prevented from entering your chimney if you have a chimney cap. This is important because rain flowing down the chimney can get inside the house or attic and cause damage in your ceiling and walls. Wind can create downdrafts in an open chimney, causing the home to fill with smoke or causing cold air to enter the home. When you install a chimney cap and stop the blasts of cold air, your home will be more energy efficient. The protective wire mesh on chimney caps also serve as spark deflectors. In dry climates, this feature can be crucial.